Official US trailer for the upcoming revenge thriller. 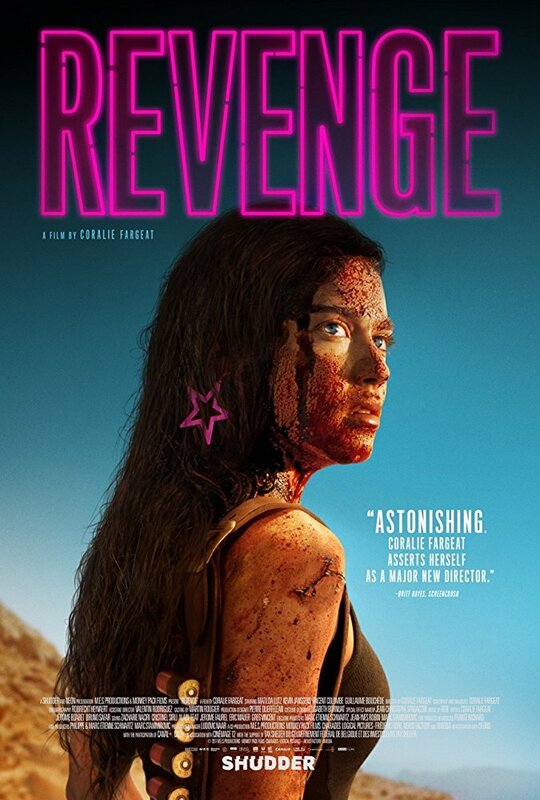 Writer/director Coralie Fargeat's feature debut Revenge isn't a remake of the 1990 Tony Scott thriller starring Madeleine Stowe, or a big screen spinoff from the TV show starring err...Madeleine Stowe, but it most definitely lives up to its title. With Eli Roth's Die Hard hitting UK screens next week, it seems the the revenge sub-genre may be in for a revival. Fargeat's film stars Matilda Lutz as a young woman who seeks violent vengeance after being left for dead by her boyfriend and his friends. We're still awaiting an official UK trailer from Vertigo Releasing, who will release Revenge on May 11th, but you can check out the US red band trailer from Neon below.